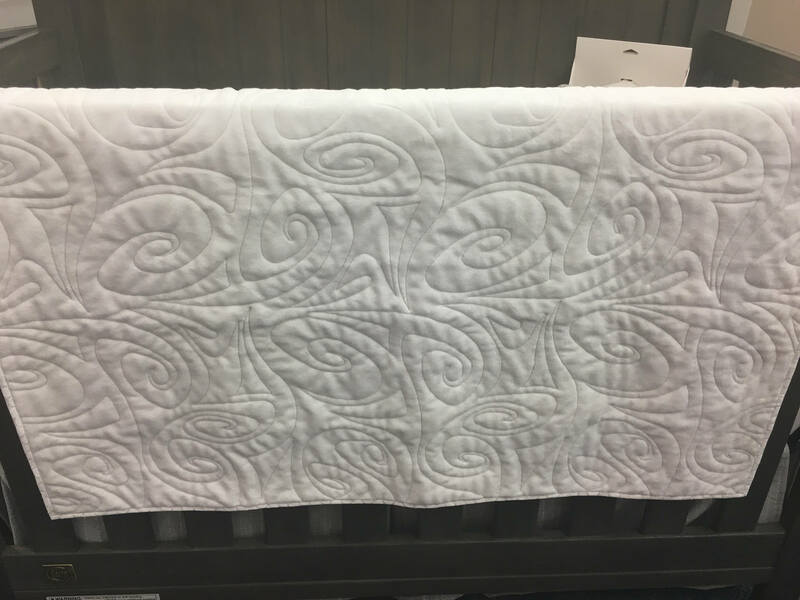 This is a generous sized baby quilt, measuring 41' x 41" , with a plush "comfy soft" white plush backing. A self-created pattern makes it a one of a kind. 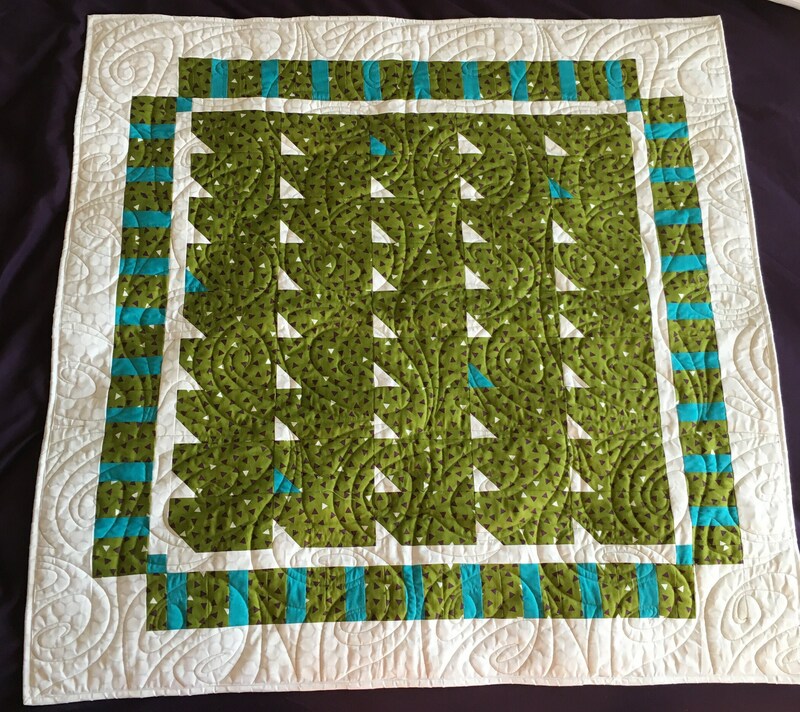 This quilt, already washed and dried, can be put in the washer and dryer and has been made in a smoke-free, pet-free environment. 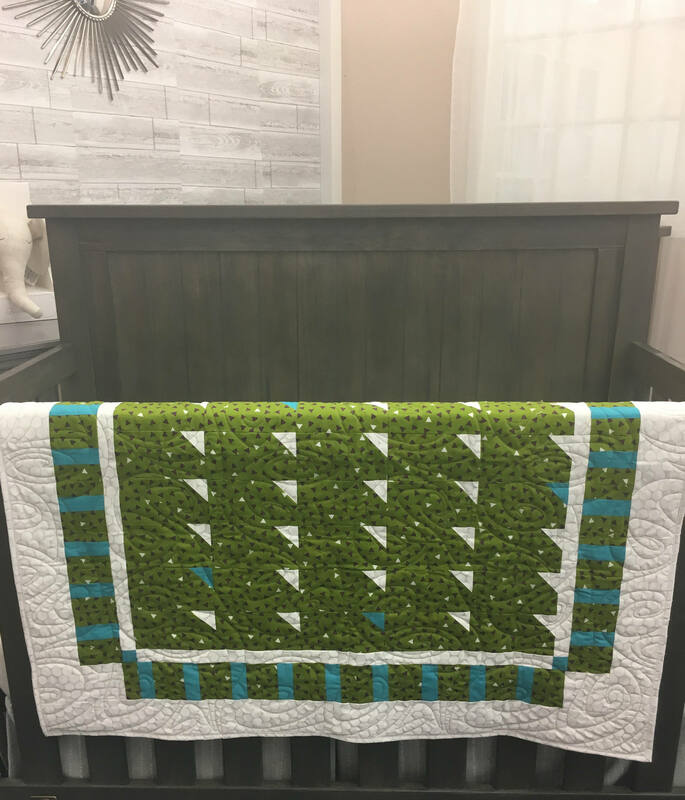 If you see a quilt that you like in my store but would like a different color, I'd be happy to create a custom quilt for you. In this case, please allow 3-4 week turnaround time. While creating is my passion, I believe it is equally as important to give back, pay it forward, or do good for others in our lifetime. 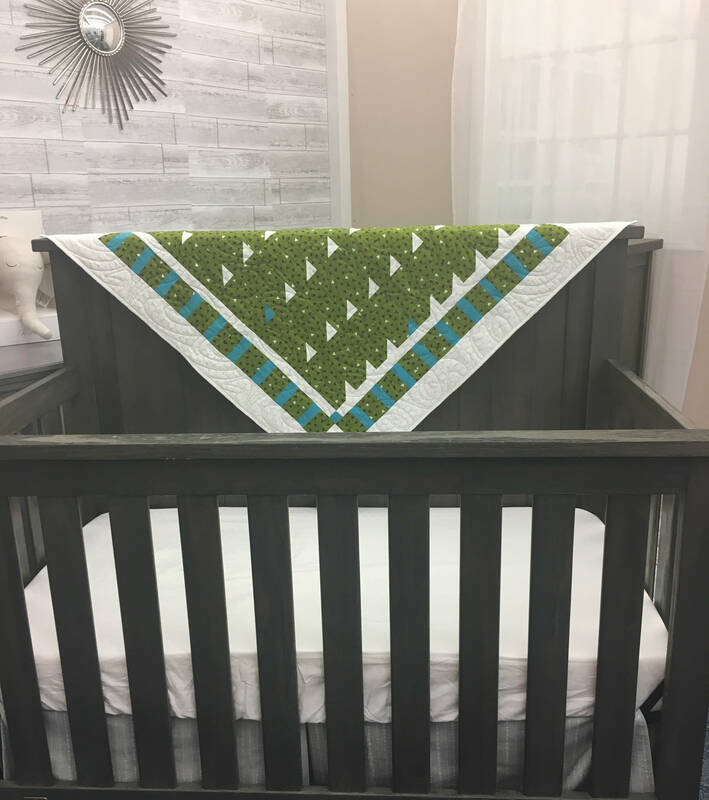 This being said, for every baby quilt purchased through my shop, I will make and donate a baby quilt for a needy child, whether terminally, traumatized or in foster care through Project Linus or Quilts for Kids. A photo of the quilt being donated will be sent to the person who purchases a quilt from me and the donation will be made in both our names.